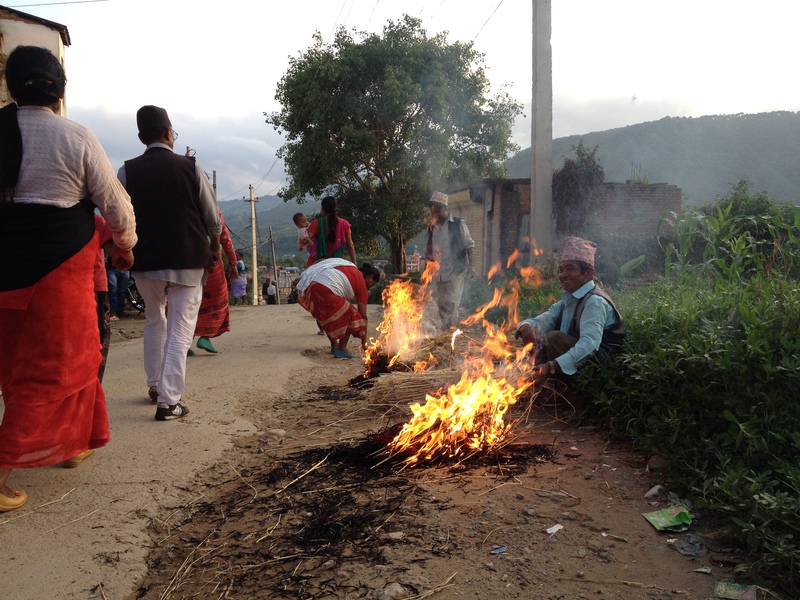 This entry was posted in buddhism, donatella lorch, goats, living overseas, Nepal, Newars, religion and tagged animals, beauty, Buddhism, Donatella Lorch, goats, khokana, Nepal on November 4, 2014 by Donatella Lorch. 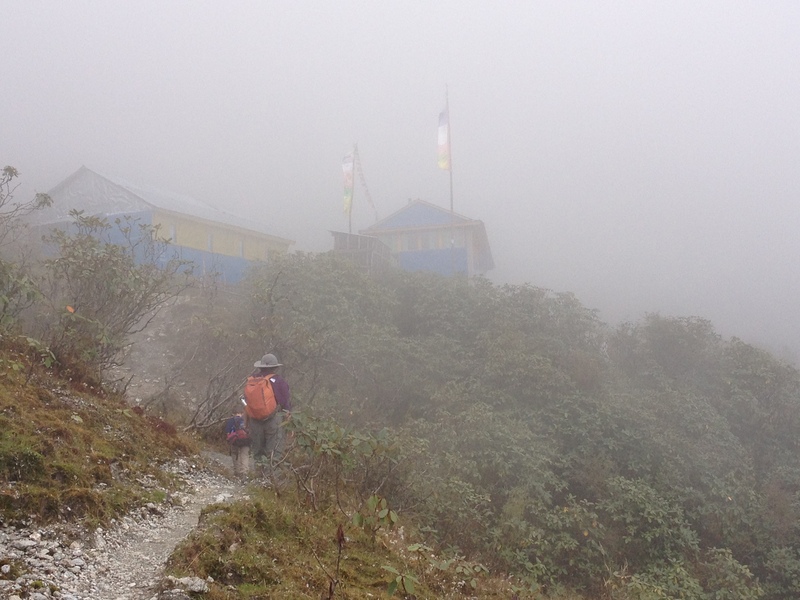 Last week, trekking the Annapurna circuit with my nine-year-old son, Lucas, we hit a deserted, particularly tough patch of trail that had been partially swept away by a landslide. Single file, one foot in front of the other, five of us gingerly and slowly made our way across a six-inch-wide uneven slanted ledge, a sheer cliff up to our left and a sheer precipice to our right. 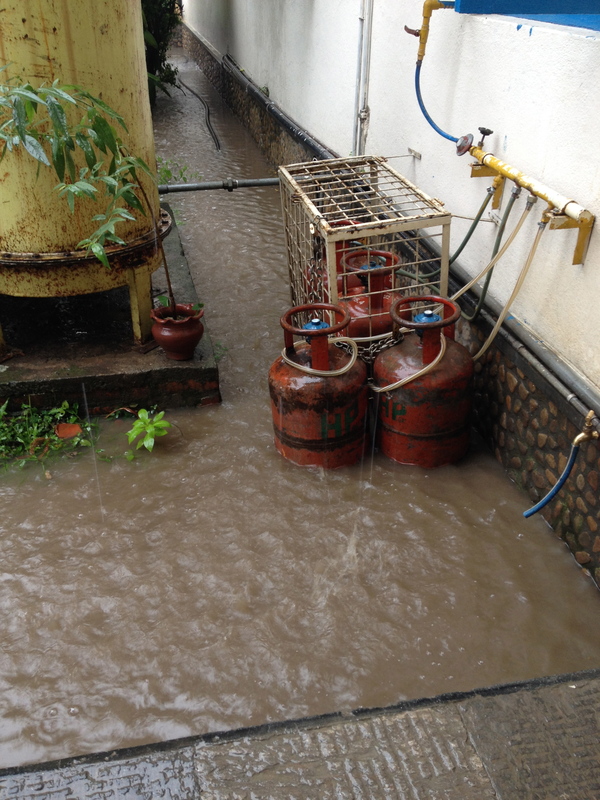 The previous day’s rain had soaked the shale underfoot and it moved slightly with our weight. Our guide shouldered Lucas’ daypack and held his hand tightly instructing him not to look down the hill but just to focus on his feet. I struggled not to let my son see my intense fear of heights. Later, we both agreed it was just part of the incredible and inspiring week we had spent hiking. 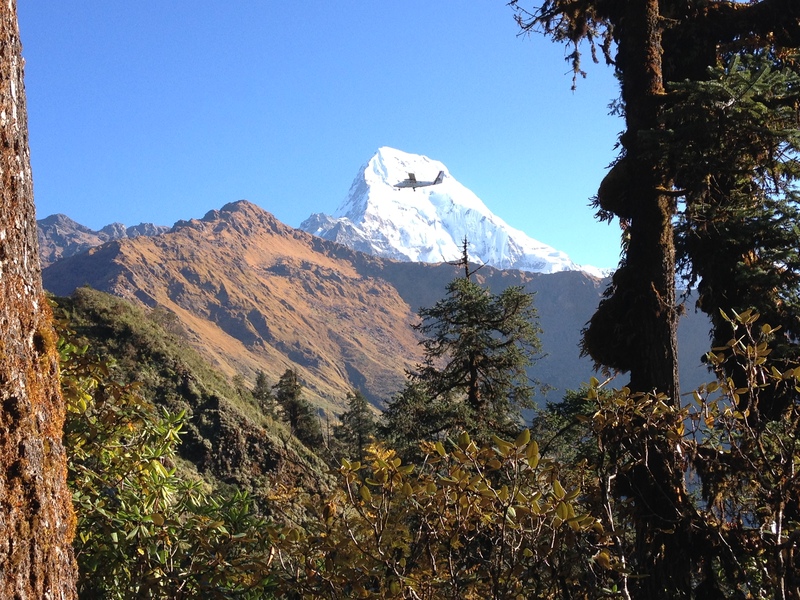 This week, at the height of the region’s trekking season, a perfect storm hit Nepal killing at least 24 foreign trekkers as well as seriously wounding Nepal’s tourism industry. Two days after cyclone Hudhud made landfall in Eastern India, it tore into Nepal. 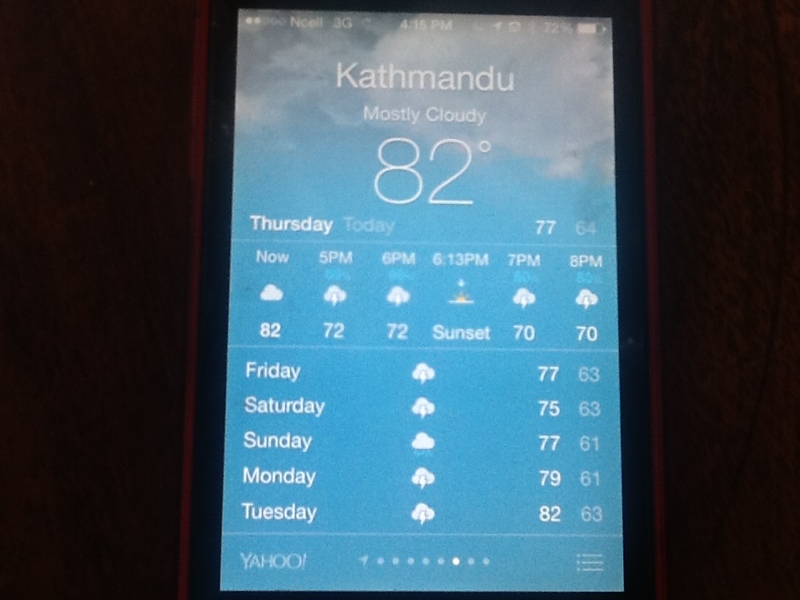 Lucas and I had just returned to Kathmandu when the storms started. 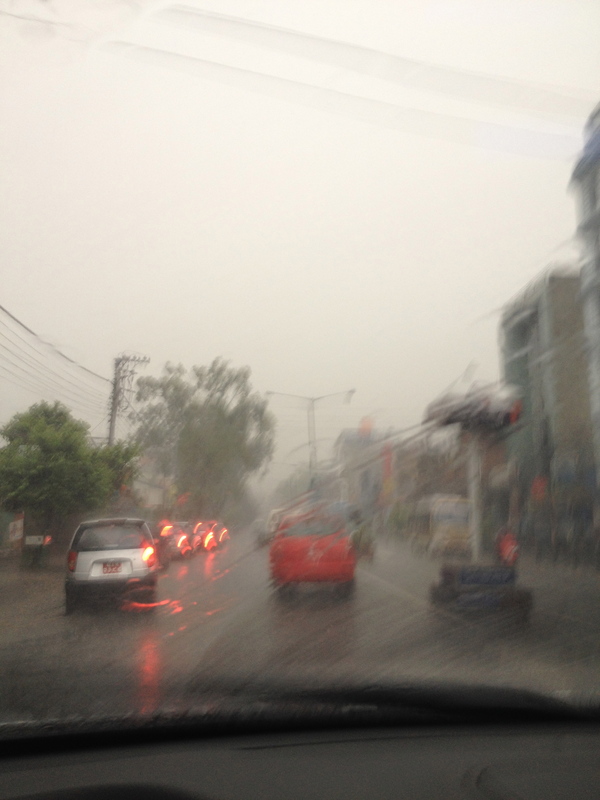 In the Valley, torrential rain fell unabated for two days accompanied by ear-splitting thunder. Flights were cancelled or rerouted, almost all airports were closed. 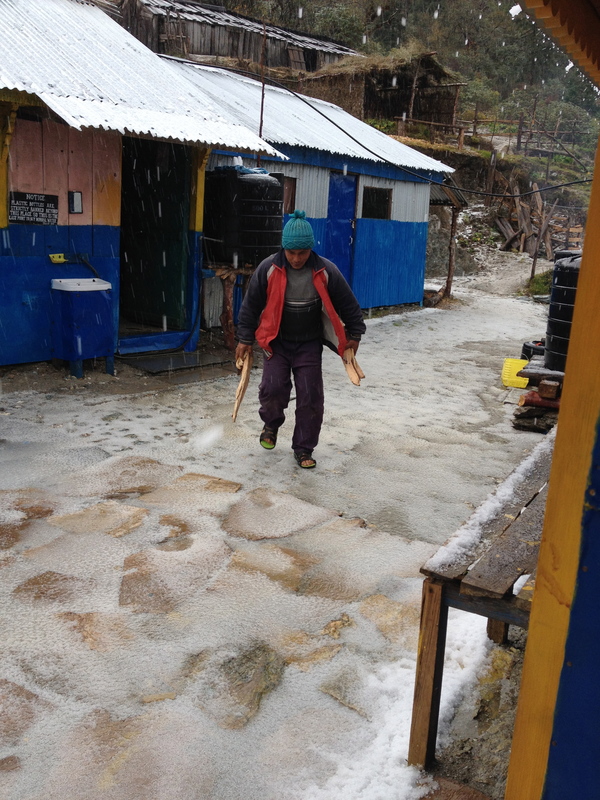 The weather in the mountains was even more vicious and unpredictable especially in the Annapurna Conservation Area Project (ACAP), a favorite for trekkers who call it the Annapurna Circuit, an area that encompasses 7629sq kms. Blizzards and avalanches in Manang, near Thorong La Pass(5416m)and at Dhaulagiri Base Camp killed the trekkers most of them foreigners. But in this vast isolated area frequented by a huge number of tourists, it is unclear who is still missing. One man slipped off a muddy path and fell into a river. He has not been found. We know about him because he was with many other trekkers. 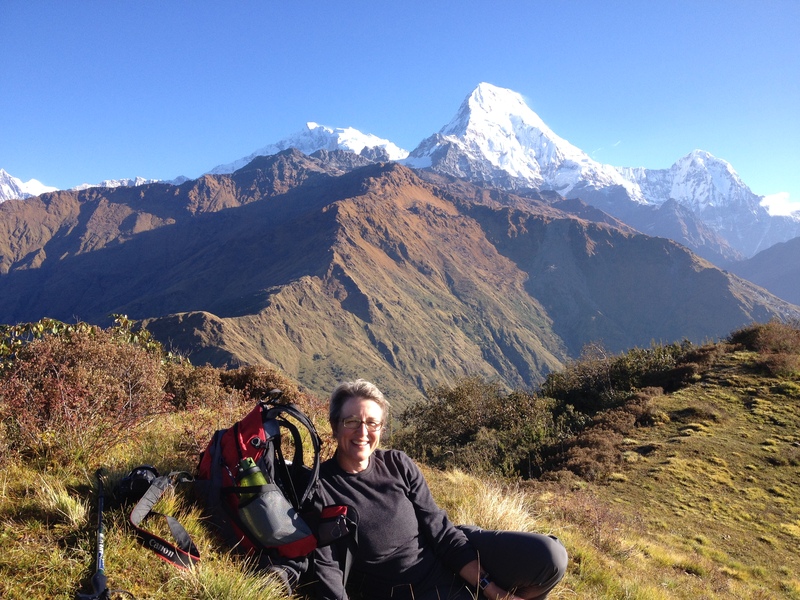 What about the more isolated areas of Manaslu and Langtang and the Tsum Valley? Even before Hudhud hit, the weather during our seven-day trek brought rain every afternoon turning into hail and snow at higher altitudes. Many of the smaller, narrower and desolate trails, like the ones we took, had landslides and were already water logged. We were four and had a guide as well as two porters (they moved way faster than we did) so we had safety in numbers as well as knowledge of the area. The only road to the northern part of the Annapurna Circuit takes you to Jomson. A good chunk of it is dirt and last month it was closed for a week because of rock fall. 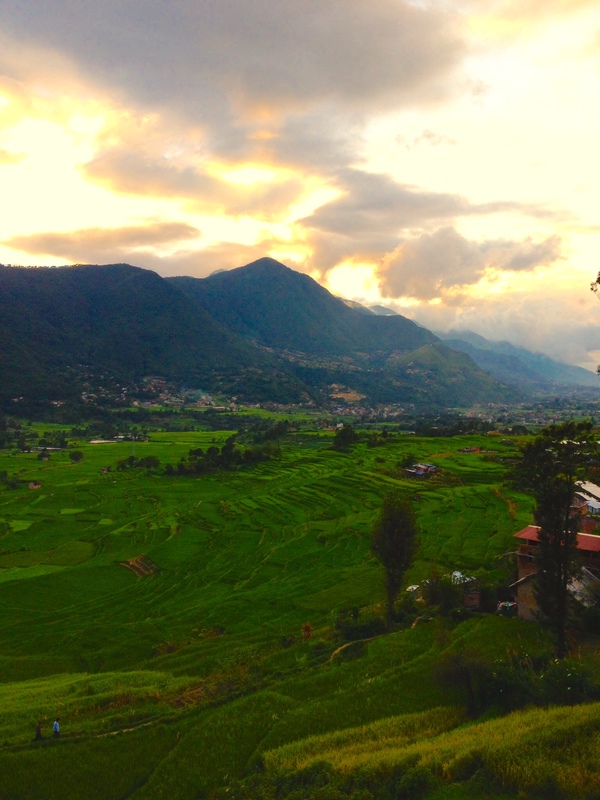 You can fly to Jomson, but only subject to the unbendable Nepali mountain rule: weather permitting. Even in good weather, flights cannot land in Jomson after 10am because of high winds. Fall and break a bone and you have two options: a helicopter or a multiple hour trip lugged in a stretcher to a road or an airstrip. We met a group of three soloing young Americans from Colorado. 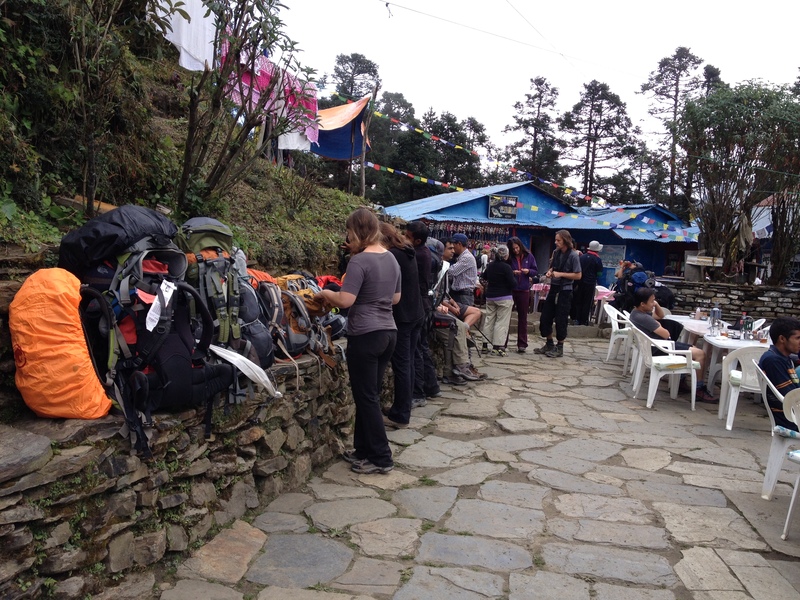 They had no phones, an incorrect map (trekking map quality is poor in Nepal) and understandably a desire to get off the very beaten track and lose the hordes of other tourists. They had not registered at the US Embassy and their families did not know where they were going. Then there were the young Nepali tourists, climbing up the mountains in sneakers, without winter gear and most importantly not carrying any water. The Indian religious pilgrims that flock to the shrine in Muktinath near Thorong La Pass are also not prepared for winter. 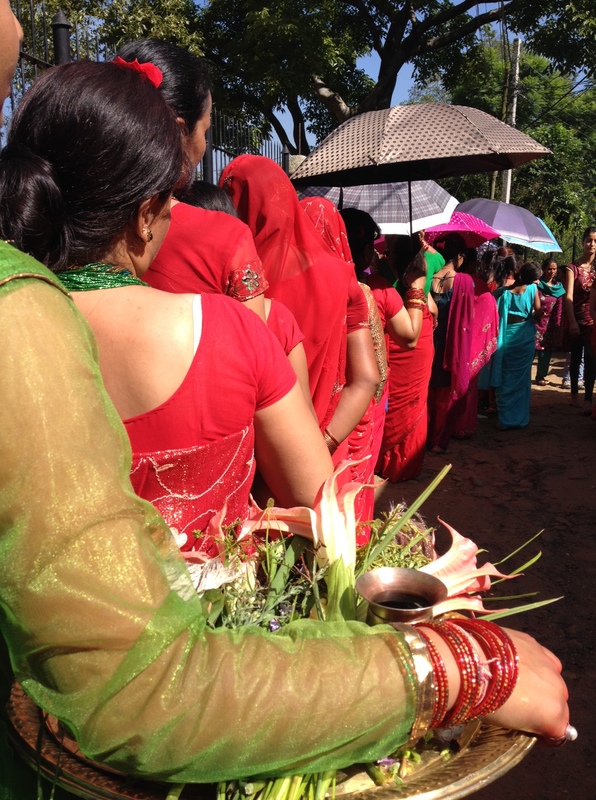 The women wear silk saris and thin shoes and ride up to the shrine on mules. And sometimes even if you are an expert mountaineer, the mountains can still claim you. Many years ago, Kunda’s brother, Kanak Dixit, had crossed the Thorong La Pass and was walking solo down past Manang when he slipped on the muddy trail and fell hundreds of feet down a cliff. He lay there badly injured for 48 hours before his brother found him. Kanak was helicoptered out and spent months in hospital. He still treks every year in all seasons. 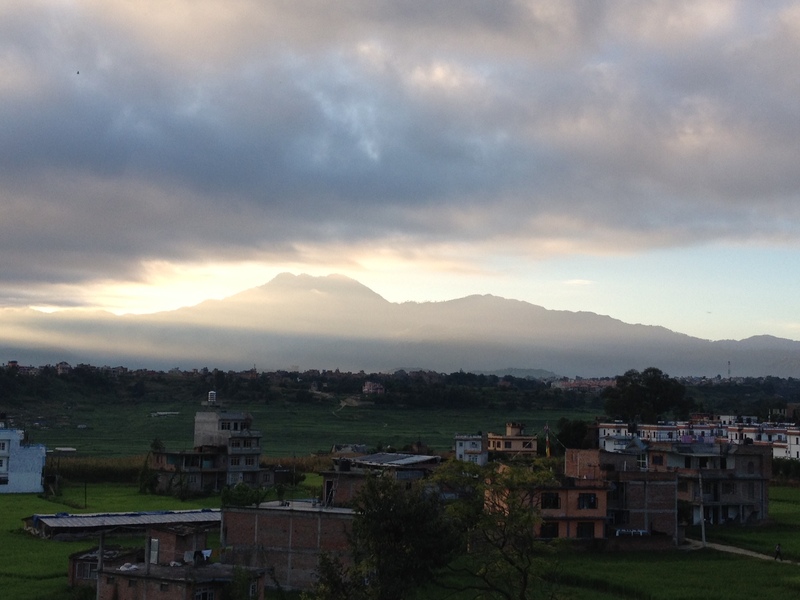 It is a pristine Kathmandu afternoon today, a side-effect of a perfect storm. 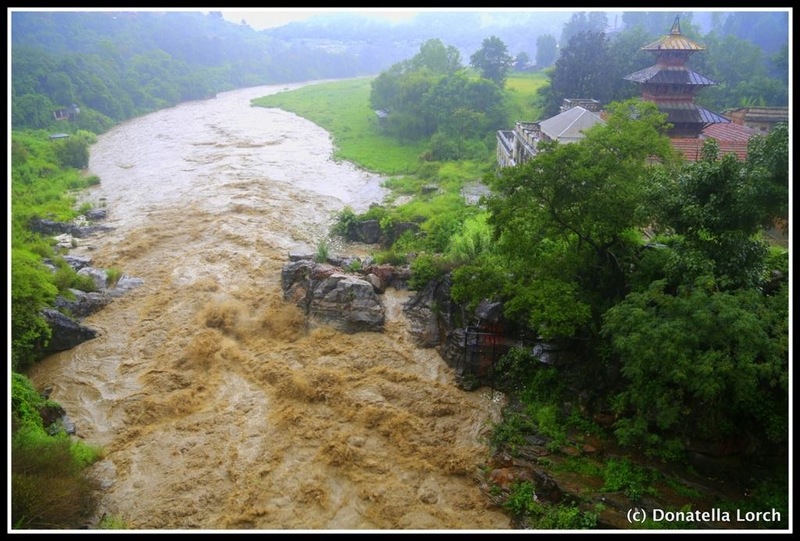 In front of me, the dark green of the valley’s hills melts into the emerald rice paddies, many flattened by the storm. 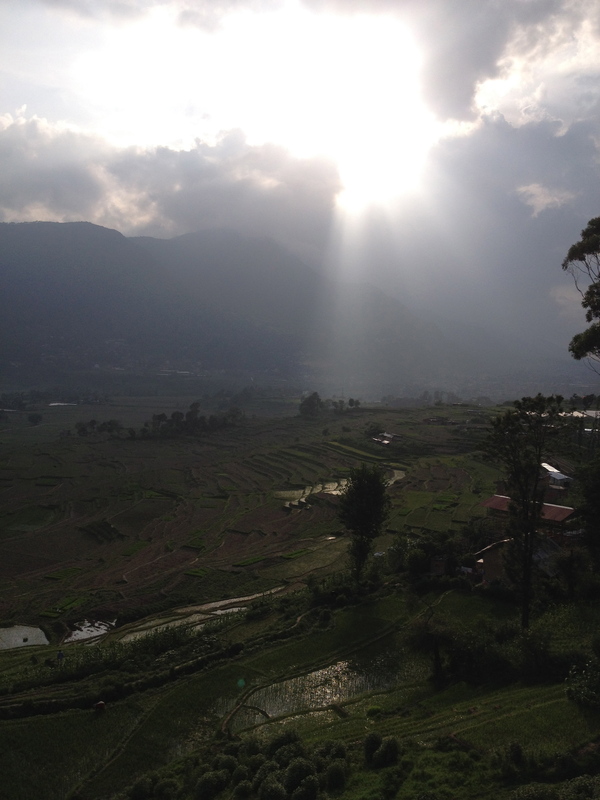 My week in the high mountains taught me respect and made me fall in love. 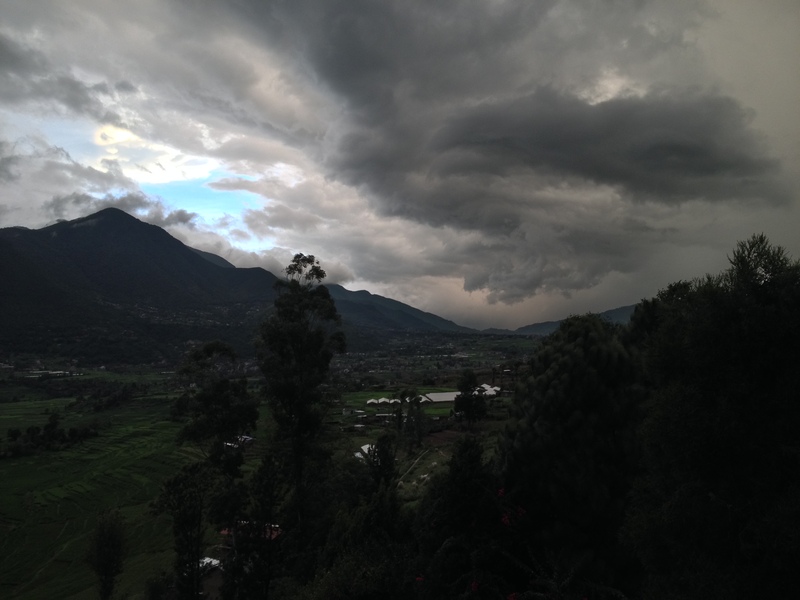 In the high mountains, I know the clouds and the evening cold will have already moved in. I hope the injured have been found. 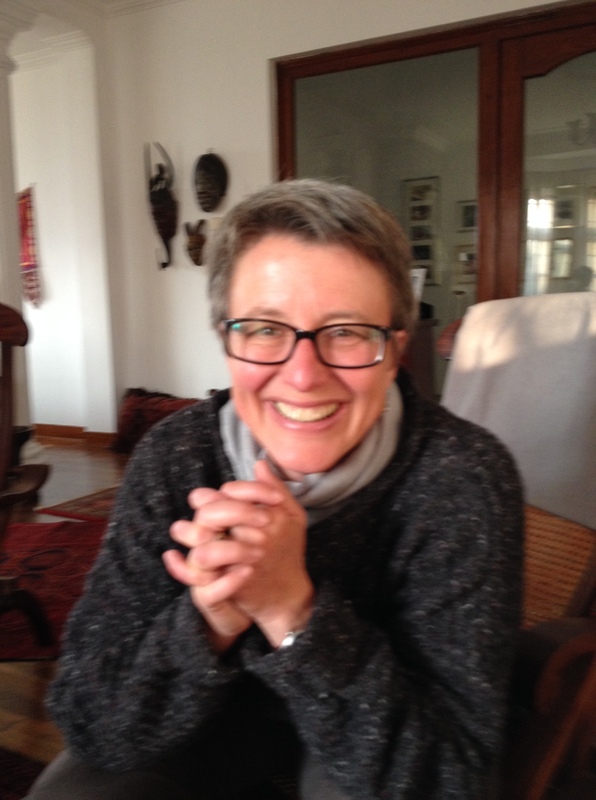 This entry was posted in avalanche, cyclone hudhud, donatella lorch, living overseas, mountain tourism, Nepal, south asia, tourism, trekking and tagged annapurna, avalanche, aviation, beauty, blizzards, cold, cyclone hudhud, Donatella Lorch, kanak Dixit, kunda dixit, trekking on October 16, 2014 by Donatella Lorch. I have short hair and I haven’t had a haircut in five months. After 25 years of very short hair, this state of affairs was not because I had decided to grow it. 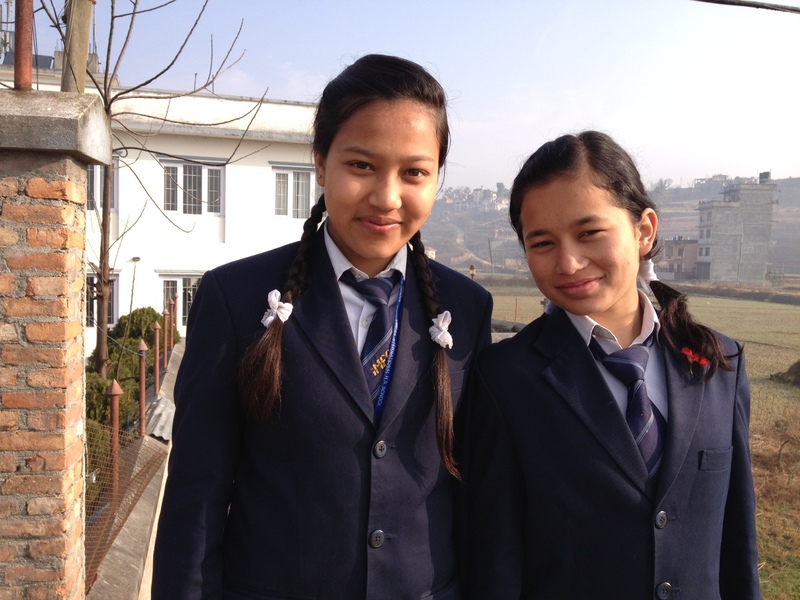 The challenge is that in Nepal, women just don’t have short hair. So why should any hairdresser specialize in that field? Over time, my search for a reliably good cut turned into an existential angst. I was stopping women on the street and at dinner parties asking for any advice on how to find someone who can cut short hair. I even found three who did have short hair but they did not enthusiastically offer a solution. And as all women in the world know, there is nothing quite as depressing as a bad haircut. Inspired by a mother at my son’s primary school who was so frustrated with the lack of options that she took matters in her own hands, I resorted to cutting my own hair. I had the correct tools since I have been cutting my husband and our three sons’ hair for over eight years. But self -cutting meant that the back of my head quickly looked hacked. And when it grew in, I can vouch that I was somehow related to a shaggy Pekinese. 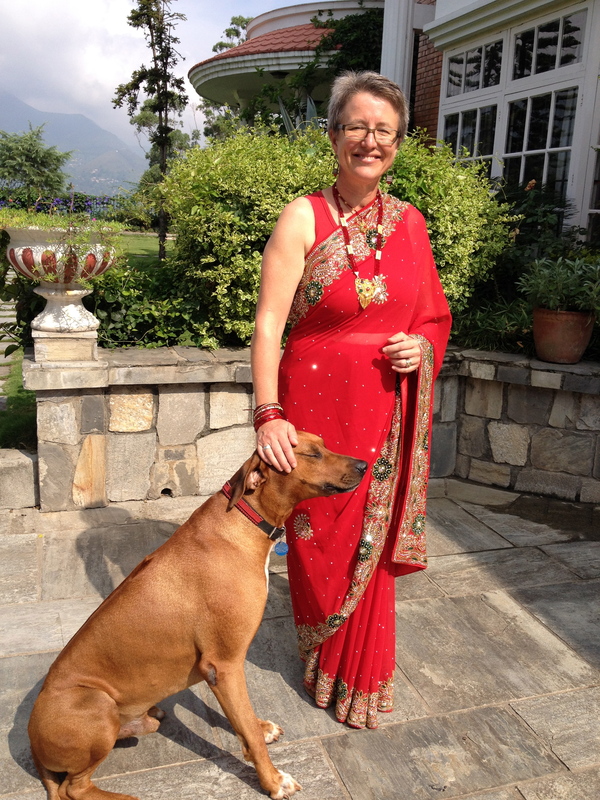 From the day I arrived in Nepal, I felt my short hair did not belong here. 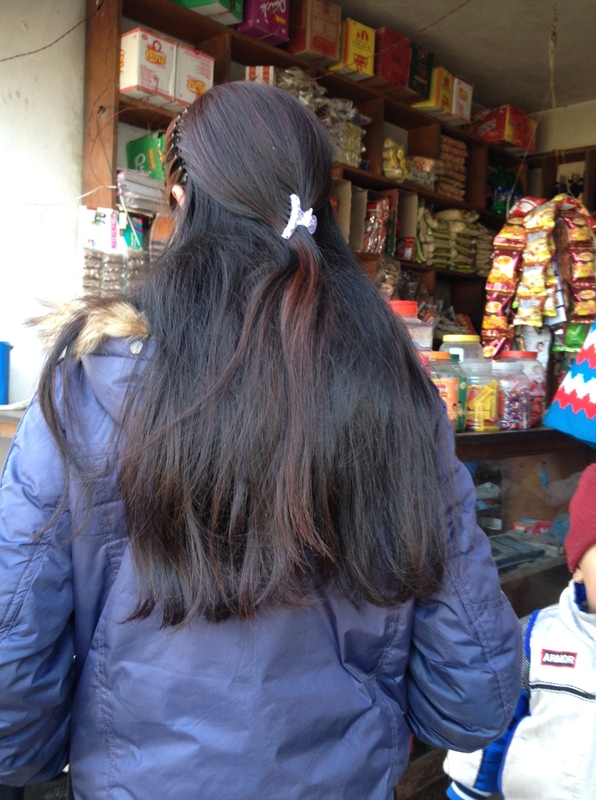 I was mesmerized by the beauty of Nepalese women’s hair. I loved looking at the ubiquitous groups of uniformed schoolgirls walking arm in arm on the city streets, all wearing their hair in two thick, long, voluptuous braids tied with bright ribbons. I can attest that my twin braids, very tightly woven by my father before I headed off to primary school never looked that good and definitely never were that thick. Young urban women leave their hair often tumbling free down their back. The female traffic police have it pulled back in air-tight polished buns while older women, often wearing saris, pile it up in less constricting but no less thick and shiny chignons. From my yard, perched up on a scree of rocks, I look down at local farmers that come every day to a public water tap, the women unraveling their waist-length hair and foaming it up with shampoo. When I run in the early mornings, I ‘Namaste’ mothers on their front stoops lovingly oiling, brushing and braiding children’s hair. 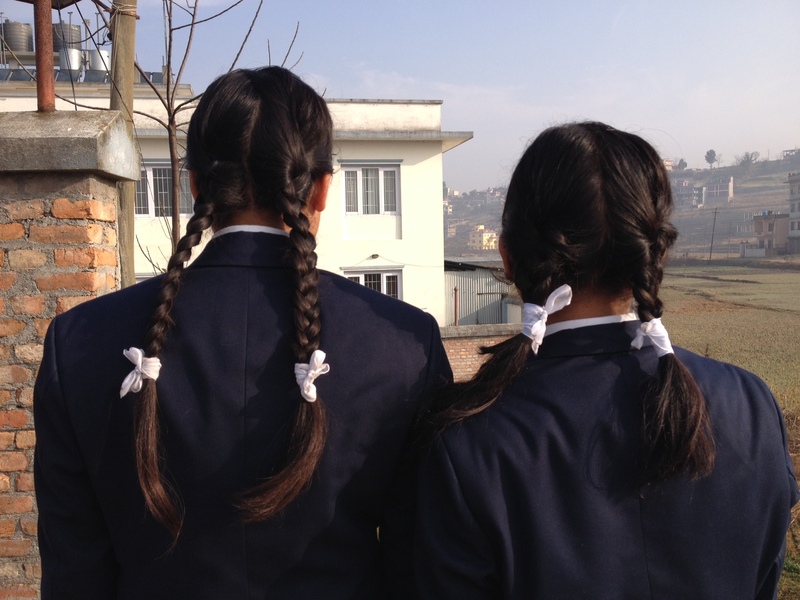 Nepal is different from India where short haircuts are more and more common among the urban female youth. In Kathmandu, I concluded after multiple discussions with female and male friends, that it is the culture and by definition the men that dictate the hair length. 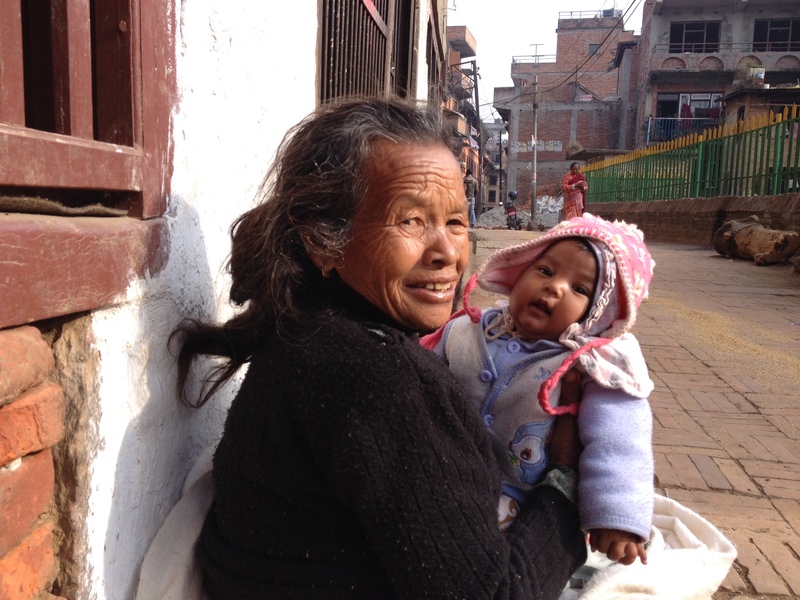 Young Nepali women frequently wear their hair cascading down their back. I was still faced with the fact that I wanted to cut my hair. In fact, I needed it as much as I wanted it. 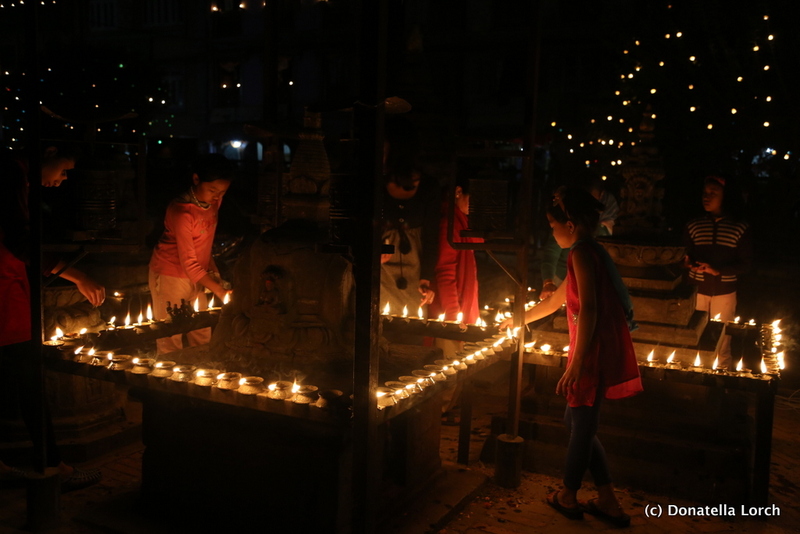 After living in Kathmandu for half a year, I felt I had gotten a grasp on searching for the impossible. What I have come to love about this city, is that somewhere out there, there is always someone who can do what you want. So I kept asking everyone I met for advice. 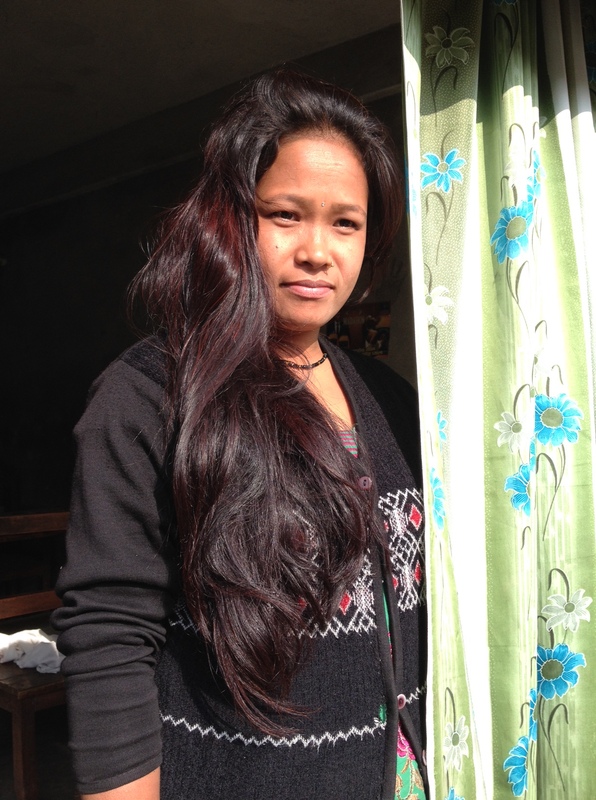 There is no shortage of hair salons in Nepal. My first week, a Nepali friend took me to visit what she called “the best one” just off Kathmandu’s Darbar Marg next to the likes of Nike and Victoria’s Secret stores and just down the road from the royal palace. She assured me all her colleagues at the office patronized this particular salon. I felt uneasy. I had met many of her friends and like her they all had long, silky black hair. The coiffeur approached me to check out my haircut and smiled. “I can do it, no problem, let me show you,” he insisted. He then went to a drawer and pulled out two electric razors and motioned how he would buzz cut my head. I rapidly retreated to the door not quite ready for a “Full Metal Jacket” experience. Then I struck gold. I found Sangita. 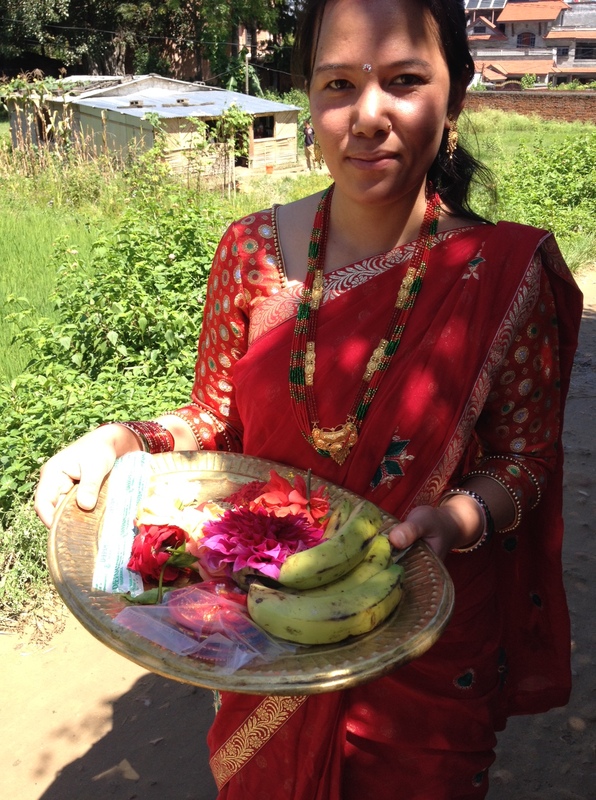 Like so many Nepalese one meets in Kathmandu, she worked and studied abroad and then came back home. I drove almost an hour through jams and road construction and needed a hand drawn map to find her home. Sangita had shoulder length hair but she too had experienced my crisis. 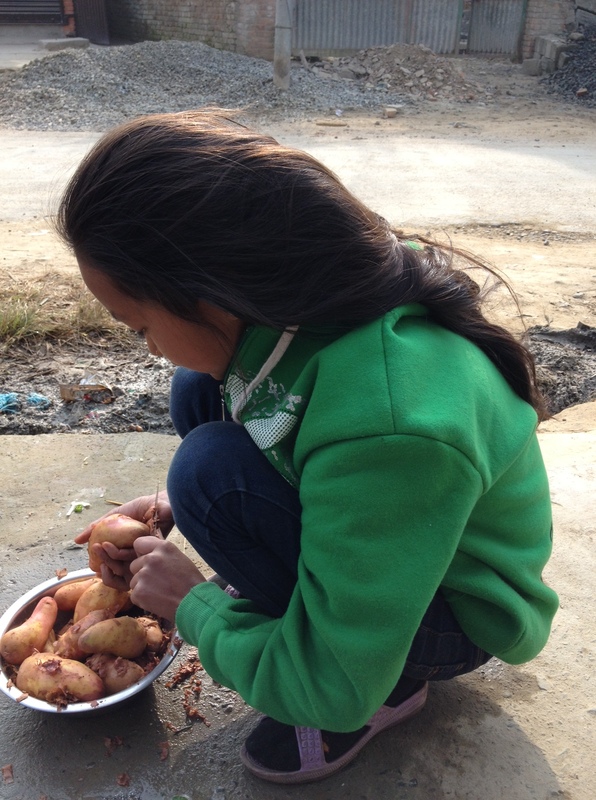 She had returned to Kathmandu with very short hair and unable to cut her own, she had no option but to grow it. This entry was posted in beauty, Kathmandu, living overseas, Nepal, running, south asia, women and tagged beauty, children, Donatella Lorch, hair, hair style, haircut, Kathmandu, Kathmandu Valley, khokana, living overseas, Nepal, personal care, running, short hair, south asia, winter, women, World on January 29, 2014 by Donatella Lorch.